Let's be honest, you can't spend 26 miles listening to the crowd and the voices in your head telling you how much pain you're in. No, if you're running a marathon, you need music. And a decent pair of headphones. Monster is here to help with the latter, with its new Adidas Sport by Monster range. As the name suggests, it's teamed up with Adidas. And it has you covered whatever your needs. The Supernova model gives total noise isolation, so you can block out distractions and focus. If you're a road runner, and want to hear car horns and people shouting "Look out! ", the Response model isn't quite as cavity-filling. Sound for both is top-notch thanks to Monster's Pure Monster Sound technology – this is the same tech found in more expensive on-ear headphones like the Monster DNA. They're made of ultra-durable rubber, and are sweat-proof, so you don't have to worry about them packing in come mile 20. 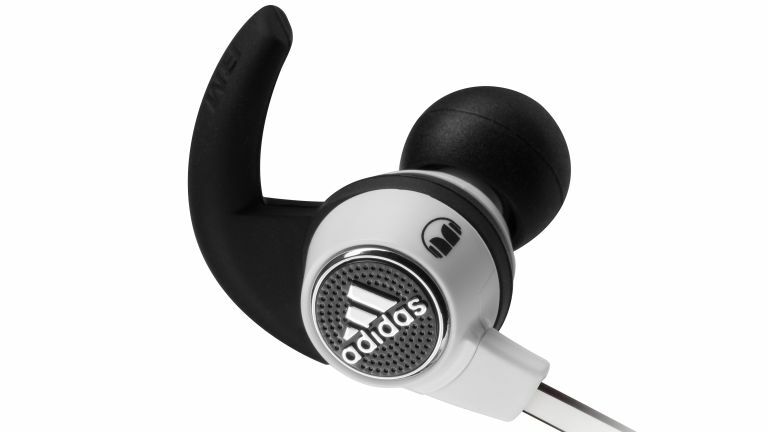 Monster's patented SportClip helps them stay in your ear, and you can take calls using the ControlTalk on-cable mic. ControlTalk comes as standard on the Supernova pair, or as an optional extra on the Response. Both pairs go on sale in May. The Response cost £39.95, or £59.95 with the ControlTalk in-line mic. The Supernova cost £89.95. This isn't Monster's first collaboration with Adidas. The two have previously worked together on other headphones and Bluetooth speakers. The Response and Supernova are described as the first headphones in the range, so we're expecting more down the line. Suppose we'd better get fit then.